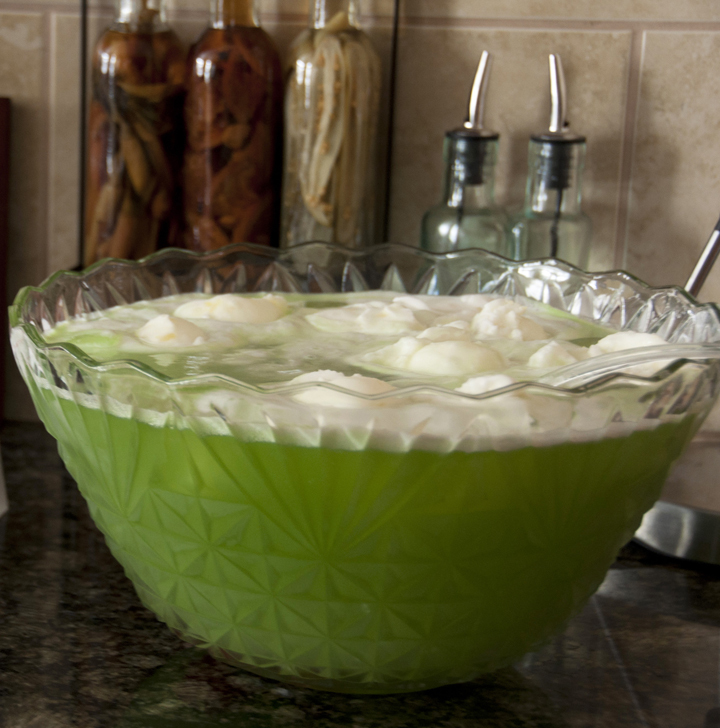 Green “Grinch” Lime Sherbet Punch recipe that is great for any holiday, especially Christmas, St. Patrick’s Day, or a baby shower! Everyone loves this at parties! 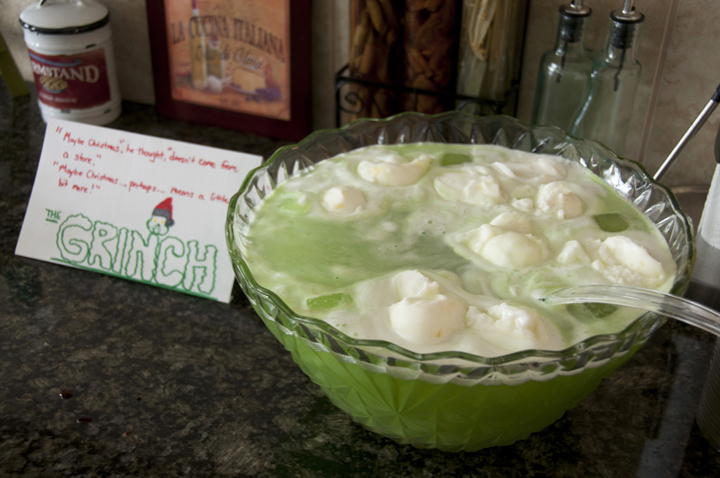 You will LOVE this holiday “Grinch” Lime Sherbet Punch! It’s not only pretty to look at it, but it’s tasty, too. The green color is so much fun and everyone always loves it. I also made it for our New Year’s Eve party and it was a huge hit – I was refilling the punch bowl all night. There’s just something about a green beverage that I love…and I guess others feel the same way because it’s always gone in NO time at all! I even made this same punch a few years back for my sister-in-law’s baby shower and threw little rubber duckies on top to float around in it. It was a fun alternative to the typical pink-colored punch! It was also a great neutral color choice to use for this particular punch since my sister-in-law didn’t know the gender of her baby yet. 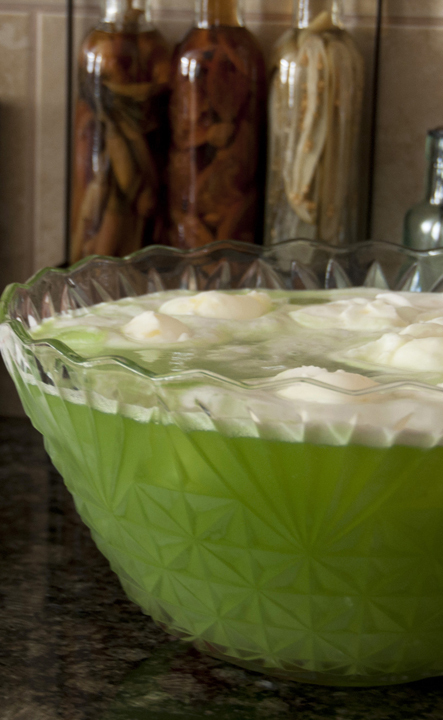 This green punch would be perfect for St. Patrick’s day, as well! We may have to revisit this recipe when that time comes. *If you can’t find lime sherbet, substitute rainbow sherbet (and just use the lime part) or lemon sherbet and add some green food coloring until you reach the green color you desire. You can also get creative and find other ways to make it green – green apple soda, green apple Crystal Light, green Powerade (may need to add extra sugar), etc. It will still taste great. If you’re loving holiday drinks, be sure to check out my White Christmas Coconut Margarita Punch. Enjoy! Green Lime Sherbet Punch recipe that is great for any holiday, especially Christmas, St. Patrick's Day, or a baby shower! Everyone loves this at parties! In a large punch bowl, add half of lime sherbet. Pour half the Sprite/7-Up/Ginger Ale over the top and then add half of the pineapple juice and half of the Hawaiian Punch. Add in cherries or strawberries, if using. I topped mine off with some pineapple sherbet for extra pineapple flavor and color. Add LED ice cubes and turn them on the green setting to make the punch glow green at night. *If you can't find lime sherbet, substitute rainbow sherbet (and just use the green), pineapple, or lemon sherbet and add some green food coloring until you reach the green color you desire. You can also get creative and find other ways to make it green - green apple soda, green apple Crystal Light, green Powerade etc. Enjoy! 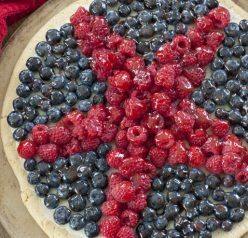 Yum – looks perfect for the holidays!! Too cute! You’re so creative! How fun! And I love the idea of topping with pineapple sherbet! This punch looks fantastic, and how fun is the color?! My mom used to make something very similar. I know it looks kind of Grinchlike but it tastes really delicious! This type of sherbert punch has always been a family favorite growing up. We would have it for all special occasions. Love this variation with the lime sherbert! My kids would think this was cool!! Ashley What did your little card read from the Grinch? What a fantastic holiday punch Ashley! Love it! Wow, this is gorgeous! One really doesn’t see too many green punches – I love this! And I really like the idea of the little rubber duckies! Totally fun and cute! 😉 Good stuff – thanks. Thanks, John! I appreciate it! I can see why! Everyone loves it! I have been looking for a green sherbet recipe and stumbled on this – BRILLIANT and thank you for sharing – sounds totally delish! Yum! This is so pretty – perfect for a family get together! This is such a great idea! So festive! This is incredibly fun! Great conversation starter too I’ll bet! Oh, yeah! I love this punch! The taste is terrific!! This is so much fun and so festive! This is such a fun salad, perfect for a Grinch watching party! This was awesome! Can’t wait to make it again for our Christmas party! My nieces and nephew were so happy when they saw that I made this. Also, it tasted soo good. 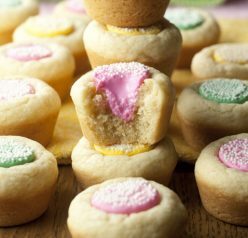 A great recipe for entertaining kids. SO much fun for a holiday party! !